We had a lovely summer, I enjoyed my daily trips to the park during my lunch break, and the tan I achieved from it. Unfortunately those lovely warm days are gone for the next six months or so, the days are shorter and colder. Seven Seas Chewable Immune Support assists your natural immune defences and contains antioxidants to support cell protection. It is a unique formula, containing high strength vitamin C and zinc with elderberry extract to help maintain your body’s natural immune resistance and cell protection. Seven Seas JointCare Sportflex has been formulated to support muscle function to help you stay flexible during and after intense exercise. It contains active ingredients that work with your body over time; you may need to take for up to three months, before experience full benefits. Seven Seas Multibionta Activate is a high performance probiotic multivitamin, especially formulated for physically demanding lifestyle. Its triple action formula supports the release of energy from food to help maintain stamina and endurance, helps maintain a balanced digestive system, and a healthy immune system. Seven Seas Haliborange Vitamin C Immune Softies is a blackcurrant flavoured fruit softies especially formulated to help maintain a healthy immune system. It contains Vitamin C, Zinc, B vitamins and Selenium to help maintain a healthy immune system, help support a healthy nervous system, and contribute to the release of energy from food. Seven Seas Healthy Oils Health Heart contains fish oil expertly blended with garlic and vitamin B1 for a healthy heart. Garlic can help to maintain heart health by relaxing the blood vessels and vitamin B1 is important for the elasticity of heart muscles. Omega-3 nutrients have an essential role in every cell in the body, so their effects are far-reaching. Seven Seas Healthy Oils Active Mind contains fish oil expertly blended with gingko, zinc and phosphatidylcholine to support mental performance. Ginkgo has been proven to improve blood supply to the brain and may also reduce the risk of short term memory loss. Consuming adequate levels of DHA and EPA can help to improve performance levels of the brain to make us more alert and regulate our mood. Seven Seas products are available online at http://shop.seven-seas.com/ and at all leading pharmacies, retailers and health food shops. 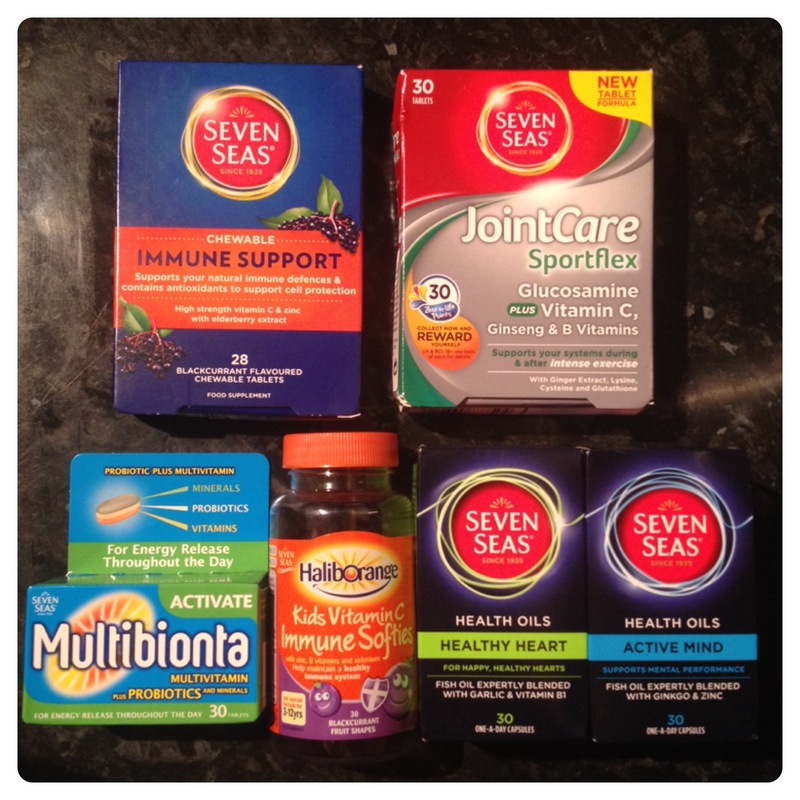 Seven Seas has kindly offered 5 Seven Seas Winter Health Packs to my readers. For your chance to win 1 of 5 Seven Seas Winter Health Packs, please fill in the Rafflecopter below. You MUST leave a comment and subscribe by email (compulsory entries), you can also gain extra entries by tweeting (daily entry), subscribing to other social media channels, etc. 122 Responses to "COMPETITION: Win 1 of 5 Seven Seas Winter Health Packs"
Make sure you still get some fresh air, but wrap up warmly! I agree with most of the others, Go have a walk you always feel warmer when you get back. Oh and have a lovely cuppa. Make sure the kids always wash their hands before eating, including at school, to avoid winter tummy bugs and colds. Eat plenty of fresh food. We wash hands often and use antibactieral soap and gel. We also avoid coughing people and anyone we know has a cold! It works well but isn’t possible for everyone! I think not enough people wash their hands enough – this is such a simple thing to stop nasties spreading. Keeping yourself well? Eat lots of fruit and veg and get enough sleep definitely prone to more illness if you are not well rested! Moisturise! That’s my biggest winter tip. When I don’t look after my skin, it gets awfully dry and cracked from the cold. make sure you try and not get wet, pad up really well with wellies, coats and make sure you have lots of things to keep you warm when you come in from the cold, blankets and soup! when its cold you often cant be bothered to go to the gym so tell yourself that you just have to drive there if you still don’t want to do it you don’t have to go in but when you’ve driven there you always do! Get a flu jag, and take regular exercise. Even if just gentle walks every day. Drink plenty of fluids, stock up on homemade soups and wrap up! Get as much sunshine and natural daylight as you can. WRAP UP WARM AND GO FOR WALKS! Drink orange juice – vitamin C for all the colds that go around. Wash your hands whenever you get in. Alcohol hand gel doesn’t kill Norovirus so buy a good anti viral hand foam from Boots! Moisturize as much as possible as the heating drys you out! Chicken soup. Place whole chicken in wok and surround with root veg, garlic. Fill with water. Simmer away untill chicken is cooked, remove and reserve meat for another meal, don’t skim the chicken fat off .. Add dumplings to soak this up, if you can’t eat it as is. The chicken fat and garlic is an age old recipe to keep colds at bay. If you have cold already, take a teaspoon of the soup every 30 mins. Try to eat a well balanced diet, fruit and vegetables have vitamins which are helpful for the immune system. Warm drinks and warm foodstuff can be soothing,, comforting and warming in the winter months. Wrap up warm and get some exercise out in the fresh air. Warm clothes are the most important. Also food with lots of vitamins to prevent getting flue. Having an apple a day to keep the doctor away…..seems to have worked…. Try and get some outside time every day as you’ll miss Vitamin D from the sun otherwise. Still get out and get some exercise. Wrap up warm and slap some Vaseline of your face! Eat plenty of fruit and veg for antioxidants (even if we might indulge a little too much in some naughties). Drink plenty of water to stay hydrated and to flush the toxins out of your body. Get plenty of fresh fruit and veg to help your immune system fight off nasty winter bugs. When I am out and about I never touch my face or ears. When I get home I wash my hands and face in soap and water. I hardly get any colds, maybe one a year! Keep up your Vitamin C intake to help against colds. Stay warm but try to avoid crowded enclosed spaces. Get outside in the fresh air and get as much sun as possible make sure you wrap up warm – get plenty of vitamin c eat warming meals and keep your fingers crossed ! Make sure you’re still drinking plenty of water to keep your body and your skin hydrated. You might not feel like it as much as you did in the summer but your body still needs it and it will help keep skin from drying out due to central heating! wrap a duvet around you and hibernate for the Winter! 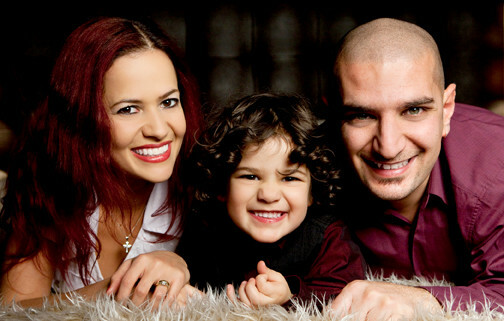 Me and my kids like to drink tea with honey. It really worms You up quickly. Tomato tea! V8 vegetable juice, garlic, hot sauce and lemon juice – it sorts colds out seriously quickly! multi vitamins, wrap up and get outside for fresh air & daylight a few times a week! Eat lots of soups with vegetables in for the vitamins. keep warm and stay active! Apply a daily lip conditioning treatment morning and night to stop them from cracking and bleeding. I use one on me and the kids and it works wonders. Lots of OJ, vitamin C better fresh than in a pill!